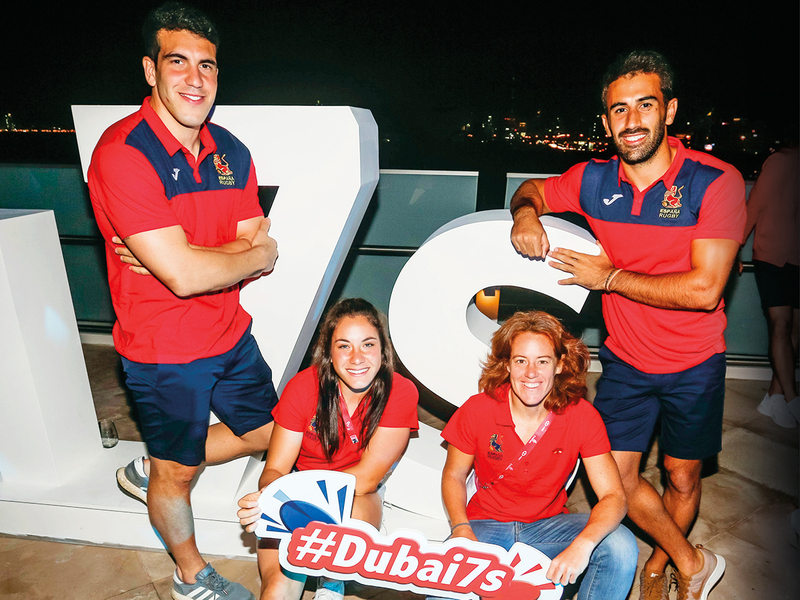 Dubai: Defending champions South Africa are more concerned about hitting a consistency curve rather than being worried about a third straight crown at this weekend’s Emirates Airline Dubai Rugby Sevens. The Emirates Airline Dubai Rugby Sevens — the opening round on the 2018-’19 World Rugby Sevens Series — was announced by Gary Chapman, President, Emirates Group Services and Dnata, Qais Al Dhalai, General Secretary, UAE Rugby Federation, Douglas Langley, Series Director, HSBC World Rugby Sevens Series, Deirdre O’Sullivan, Series Director, HSBC World Rugby Women’s Sevens Series alongside John Manenti, Australia women’s coach and Neil Powell, South Africa’s men’s coach. The Blitzboks secured a well-contested 24-12 win over traditional opponents New Zealand in last year’s men’s final for their second crown in Dubai last year, while Australia blanked US 34-0 for the women’s title. But this year, a few of the seniors are out, forcing coach Powell to give the squad a fresh look with a few youngsters. “It’s going to be a bit of a challenge after losing quite a few seniors. But in a way I am happy with the balance in the team as the juniors will have to put their hands up. That said, what we are looking for during the season is consistency. If we can build on that consistency that we’ve had over the last two years then we will be happy with that,” Powell told media after the customary pre-event press conference on Wednesday. “I am happy with the balance in the squad and I am quite happy that quite a few of the senior players are out so that I can give some of the younger ones a run here. We will definitely make a decision on them knowing well that one decision can be difference between winning and losing,” he added. A former scrum-half during his playing days, Powell is well aware of the challenges posed by each and every team present at the competition. “If we look at last year’s season we can see that everybody was close and everyone was putting up a great fight, even the so-called smaller unions. So there is no easy side out there. It’s going to be difficult and hopefully this is a challenge that we are going to be up for here in Dubai,” Powell said. “All the teams are a threat here. Fiji, New Zealand, Australia, England, USA, anybody can bring it on the day and that’s the beauty of Sevens. We have seen from experience that anyone can be a threat, like a few years ago when Japan beat New Zealand in the Olympics. You can never go into a game knowing you are going to come out a winner. Every game is going to be tough,” he added. Powell admitted that they were always aware that the seniors would have to depart one day. “We planned for the seniors going away for the past two years now. When we sent a comparatively young side to Hong Kong everyone was a bit worried, but I am happy that the young chaps put their hands up and now we have most of these players in the team here,” the 40-year-old noted. “Having senior guys is great but you also need that new blood to bring in the energy that can be channelled in the right direction,” he added. “We are always excited to be back in Dubai. If we focus on the outcome then obviously there is going to be pressure on us. We need to focus on a the few things that we have control over. The outcome will look after itself. We are not going to look out for three in-a-row in Dubai or three in-a-row in the World Series. There are some things that made us successful in the past and we will be focusing on those things,” Powell insisted.